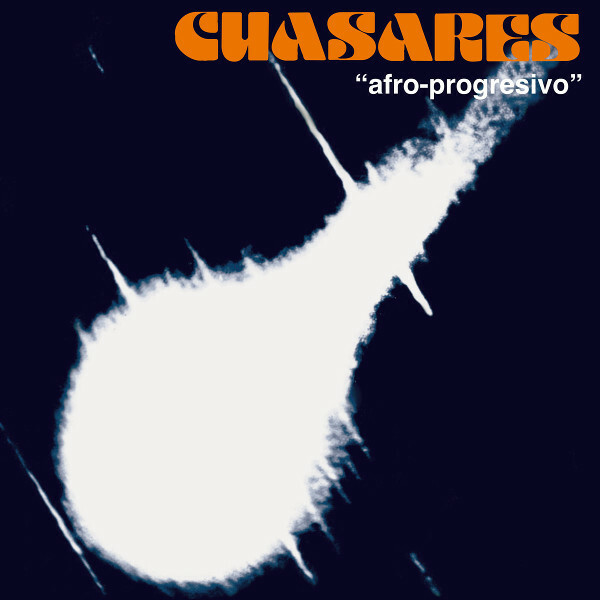 Like a comet streaking through the heavens, the vintage sounds of Cuasares (the enigmatic studio project by pianist / arranger / visionary Waldo Belloso) splashes a wild esoteric mixture of psychedelic funk, afro-latin grooves, and jazz across the room. Acid fuzz guitar, rhythm guitar, vibes, flute, percussion, cheesy and some times trippy organ, and mono synths combine in various ways to present music that defies classification. Waldo Belloso was born in 1933 in Buenos Aires, studying the piano at the age of 6. He matured into an accomplished composer and between 1972 and 1973 he started experimenting with various sounds and techniques in an attempt to encapsulate the rebellious side of the growing psychedelic and funk scene in North America. The album opens with the title track, with a trilling flute, heavy beat, and mono synth that can be easily dismissed for its first two minutes. Then there is an abrupt tempo and mood shift to quiet jazz piano and the tune takes off! Needless to say, I was surprised by this reissue, it is not at all what I expected from the album title. Waldo’s experiments on this album are quite engaging despite the intermittent cheesiness of the music. ”Colisión” even approaches avant rock experimentation. “Mutación” sounds like the soundtrack to a 60s - 70s spy movie. And I found “Amalgama” to be the highlight of the album for me with a great latin beat, funky bass, and trippy organ that deliver some exceptional psych-funk music. And the closing track “Simbiosis” is a polyrhythmic percussive track with guitar and piano joining for the climax. So if you want to explore something out of ordinary, Afro-Progresivo may be exactly what you are looking for.